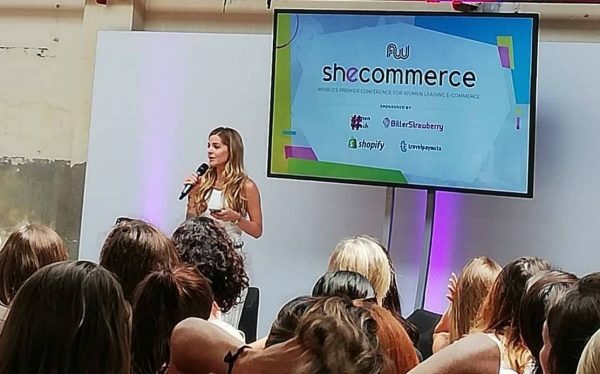 SheCommerce aims to connect and inspire women in business, especially in the marketing and ad technologies fields, to increase the amount of women at managerial levels and encourage those venturing into building new businesses. It was a great experience in many ways. We had the chance to learn a lot about new trends, discuss what we could change or improve in our work, ask some vital questions to experts, get to know people who work in different industries and get inspired. But most importantly, we felt empowered! Seeing so many women together, sharing success stories – as well as failures – and the lessons that they were able to take away from each one, was an experience that truly made us feel more confident in ourselves. It could sound tiring to some. However, having a full day together with a lot of women from all over the world who faced or still are facing the same struggles as ours, striving for success and standing up against common challenges, was an experience we would love all women of all ages and backgrounds to have the opportunity to take part in. Katie Hudson’s session to introduce us to the e-commerce platform was extremely interesting as well. 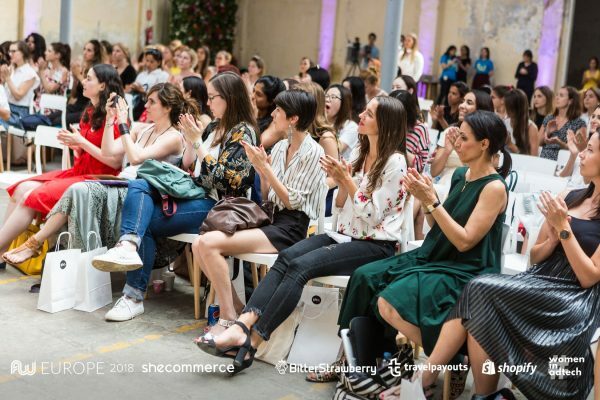 It is a lovely thought that Shopify, one of the sponsors of the organisation, offered everyone a trial period on the platform, so we had the chance to learn how to use the platform right there and experience it for some time. It’s impressive to see that nowadays, there are a lot of tools that allow entrepreneurs to start chasing their dreams relatively quickly. Without a doubt, Mia Plecic’s speech was the most awe-inspiring for both of us. 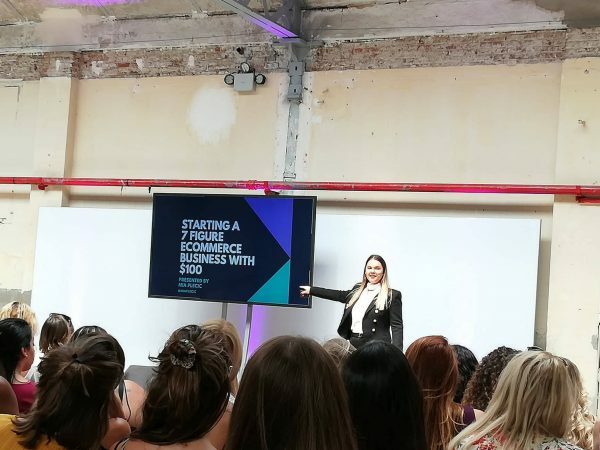 Her story was extremely impressive, not only because she has built a business from scratch more than once, but also because of the attitude she now has. Plecic is a 27 year old business owner who lost her first company in a very unfair way. Nonetheless, she didn’t give up and has built another four so far, and has the most comfortable attitude when talking about her journey. She acknowledged what life and the competition of big business brought and turned the tables. She showed us a great examples of why, as women, we shouldn’t get intimidated by the norms, and how those norms could be deceptive. The last part of the conference, a panel that was moderated by Bonnie D’Amico, was focusing on these thoughts. The panel gathered all speakers to discuss confidence and self-doubt. Everyone was highly engaged and keen on sharing experiences and asking questions in order to hear more about others’ experiences. 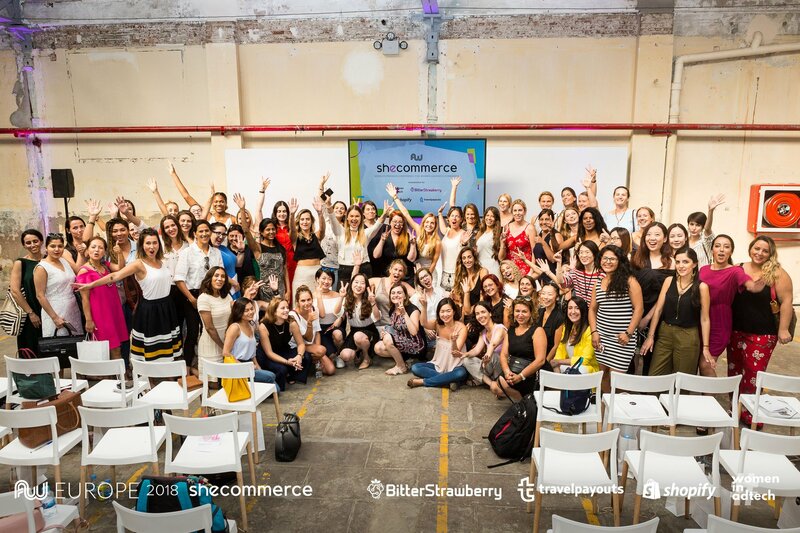 We took a lot from SheCommerce. We gained new insights, discussed current topics with experts and found ourselves looking into ourselves and feeling our self-confidence stronger than ever. We remembered what women are capable of – especially when we support each other.